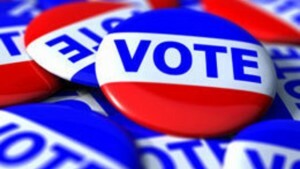 Filing day ended last week for those wishing to run in this year’s election. The following is a list, relative to Edgefield County, of offices, candidates, and their associated parties who have filed to run this year. Incumbents are marked with an (I). U.S. Senate –Bill Bledsoe (Libertarian),Thomas Dixon (Democrat),Bill Bledsoe (Constitution), (I) Tim Scott (Republican), Jim Hinkle (American), Rebel Michael Scarborough (American). U.S. House of Representatives–District 03 – Hosea Cleveland (Democrat), (I) Jeff Duncan (Republican). SC State Senate, District 25 –(I) Shane Massey (Republican), John Pettigrew (Republican). SC State House of Representatives, District 82 –(I) William Bill Clyburn (Democrat). SC State House of Representatives, District 83 – (I) Bill Hixon (Republican). Solicitor Circuit 11 – Seat held by Donnie Myers; Rick Hubbard (Republican), Candice Lively (Republican), Larry Wedekind (Republican). Sheriff – (I) Adell Dobey (Democrat), Michael Raffield (Republican). Clerk of Court –Kevin Beck (Libertarian), Monica Pickney Mims (Democrat), (I) Charles Sonny Reel (Republican). County Council – District 01, (I) Albert Talbert (Democrat); District 02, Arthur Biggs (Republican) seat held by Ashcraft; District 03, Thomas McCain (Democrat), (I) Dean Campbell (Republican);District 04, (I) Betty Butler (Democrat); District 05, Scott Cooper (Republican) seat held by Genia Blackwell.